For almost 35 years, we've been delivering fitness, fun, and friendship to people in Leduc and area. 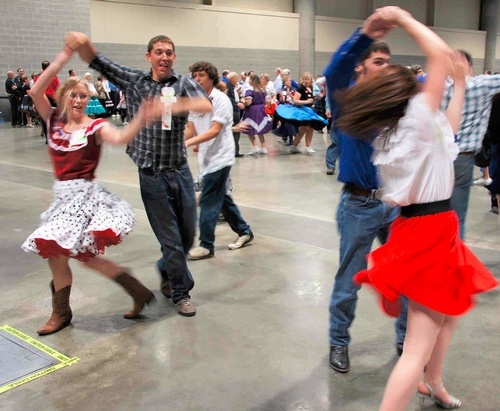 Modern square dance is a world-wide recreation. 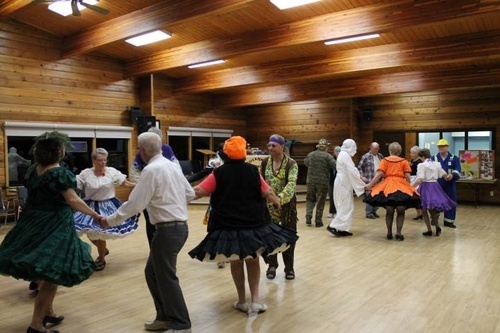 Learn to dance here in Leduc and you can square dance across the globe. Wherever you are, the moves are called in English, so you can find fun, fitness, and “friendship set to music” whether you’re in Australia, Slovakia, Japan, Sweden, or the USA. 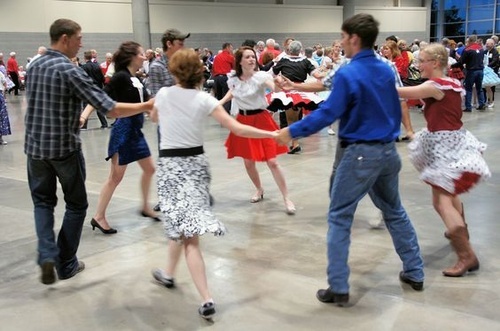 Suitable for all ages, square dance is an ideal family activity but is also a fun night out for couples. Because we dance in teams of eight, it's great for singles too. No lead, follow, or footwork -- so it's a boon for those with "two left feet". 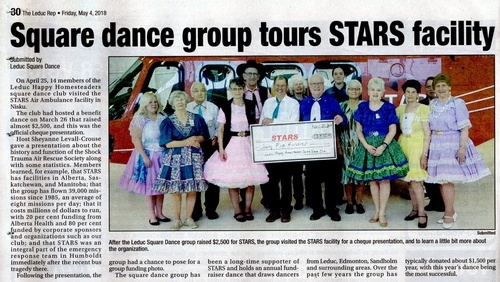 We perform for local seniors' residences each Christmas, host an annual STARS benefit dance in the spring, and hold a Hoedown for the Hungry each fall in support of the Leduc and District Food Bank. 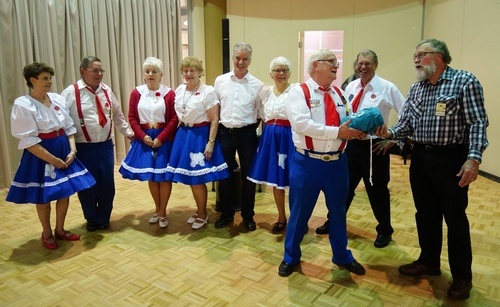 Square Dance -- it's a bright idea! Our programs - what's in it for you?